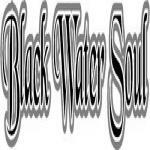 Sign up for Broadjam today to follow Black Water Soul, and be notified when they upload new stuff or update their news! Little bit of country , a taste of blues, a whole lot of metal. Known as Swamp Metal.